Faisal J. Abbas is the Editor-in-Chief of the leading Middle East English language daily, Arab News. 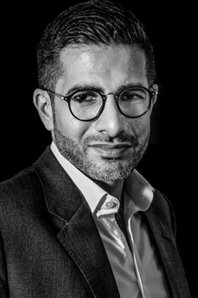 Based in Jeddah, Saudi Arabia – where he is originally from – Abbas joined Arab News in September 2016 with a mandate to make the paper international and turn it digital. Under his editorship, Arab News has seen undertaken a new and more global, more digital direction. Arab News is now being quoted by international media and is considered one of the most credible sources in English on the Arab world. In addition to this, Arab News now has a new line up of columnists from all over the world, these include diplomats, top journalists, academics and influencers on various fronts. Prior to this, he has been the Editor-in-Chief of the Dubai-based English language service of Al Arabiya News Channel www.alarabiya.net/English since July 2012. Abbas has been a journalist for over 15 years, starting as a student reporter for Future Television (Lebanon) then Al Hayat pan-Arab daily. Upon moving to London in 2005, he became Asharq Al Awsat’s media editor and has reported for the paper on several current affairs topics as well. He made his debut in English writing for The Huffington Post in 2008 and since then, has been the recipient of many media awards, including the London-based Next Century Foundation’s Cutting Edge Award (2009) for extraordinary efforts in bridging the communication gap between the West and the Arab World and British Council’s “Social Impact” award for UK alumni in Saudi Arabia (2017).